If you’re in need of our repair, appraisal or investment services, please call 858-571-4560 or follow our Appointment link. 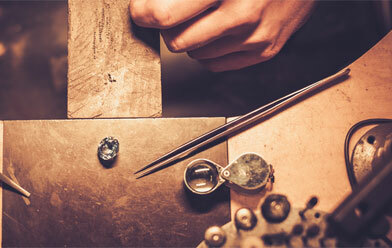 There are many types of jewelry repair, jewelry restoration and watch repair. 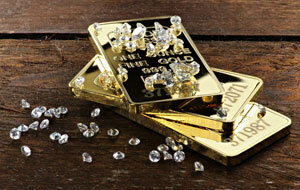 Rock N Gold Creations has the expertise to accomplish the most challenging types of jewelry and watch repairs. You can have virtually any kind of jewelry repaired. Think about necklace repair, earring repair, ring repair, ring re-sizing any other jewelry repairs that you may have. If you have something in your jewelry box that you haven’t been able to wear, at Rock N Gold Creations it can be fixed, re-shaped, resized or polished so that it is wearable again. Some jewelry repair shops are only as good as the parts they have on hand. 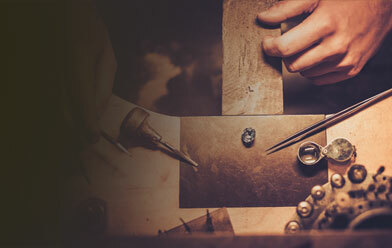 We have gone as far as hand fabricating our own locks, links, hinges, parts, end caps and many other jewelry parts as needed to ensure the watch or jewelry repair completed with care, restoration of the original look and quality craftsmanship. 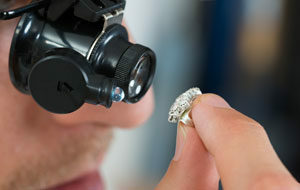 Our experienced master jewelers use the latest laser welder technology along with traditional proven repair techniques to complete our projects with the highest caliber of workmanship and care. Rock N Gold Creations offers most jewelry maintenance and repair services such as repairs on gold, silver, platinum and palladium, stone replacement (diamonds and gemstones), complete remount service, rhodium plating, hand and laser engraving, refurbish and refinish, rebuilding broken prongs, re-tipping prongs, soldering rings together, jewelry conversions (ring to pendant, etc. ), ring shank replacement (heavier), chain soldering and clasp replacement, diamond certificates, diamond cutting and repair, gemstone cutting and repair, pearl and gemstone bead restringing and custom work ( wax designs, castings, stone setting ). Our Rolex Certified Watch Maker has the level of education and expertise for complete, quality swiss watch repair and restoration. Our watch maker offers complimentary evaluation and quote for your repair before proceeding with the completion of the project. 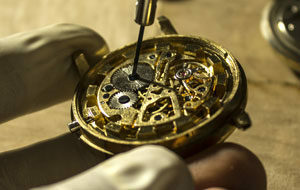 Watch appraisals and jewelry appraisals are available for your specific appraisal needs from resale or insurance purposes. Simon M., GIA graduate & Master Design Artisan offers 30 years of experience in fine jewelry and watch appraising. For the investor interested in investment coins and bullion, investment diamonds and investment-grade diamonds we have the expertise to assist you with your next investment. It is important when investing to speak with an expert for an assessment of the current market, advantages, disadvantages and alternatives. We look forward to speaking with you! Call 858-571-4560.